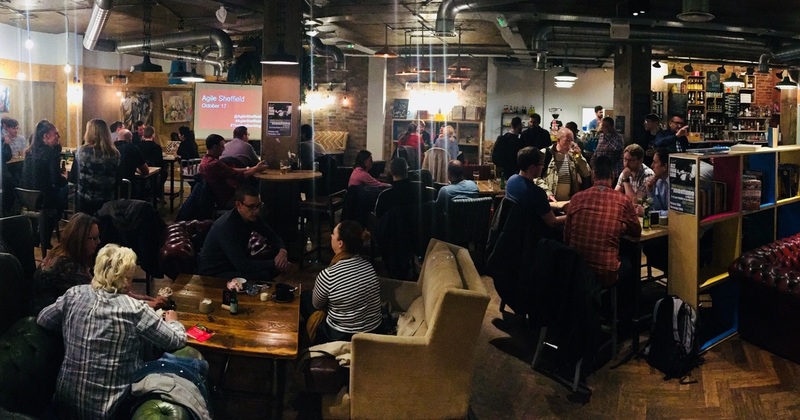 agile Sheffield started in 2015 when founders, Richard Joseph and Chris Roberts, set out to replicate the communities of like-minded people, sharing their experiences of being agile, that they’d been part of in London. Many meetups later, the community has grown to more than 1000 members and would like to collaborate with other meetups in the city to showcase and encourage agile values and principles. 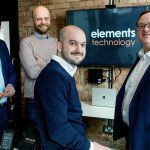 We caught up with organisers Richard Joseph, Katie Attwood and Tom Hoyland to find out what it takes to make a meetup more than just an event, and what plans the team has for future growth. What made you want to start an agile meetup? 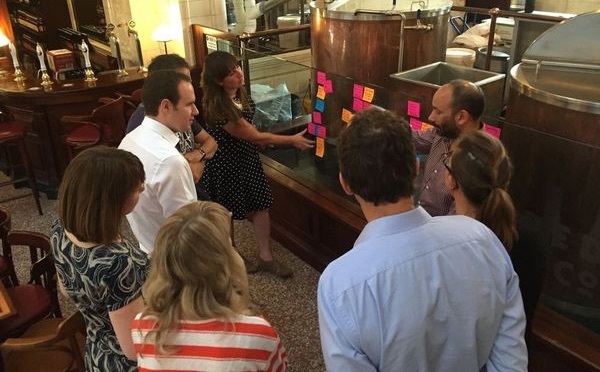 We hosted our first meetup back in July 2015, after seeing the thriving meetup communities in London where people were sharing their stories of being agile. There was nothing like it in Sheffield and we believed that creating a community of like-minded people who could share experiences would help to deliver better digital products and services for everyone. Setting up a community in a city where people can share their good stories is a great way of affecting culture change. What did you do to get the meetup off the ground? We had experience in the team of attending meetups in London, so had an idea about the format. A friend also ran a meetup in Derby which we were able to attend and learn from. The first step was plucking up the courage to actually organise something in Sheffield and being OK with the idea that it might not work, and people might not turn up. We had an idea of what we could talk about and how we’d turn it into a discussion activity, suitable for a new group. The two main problems were finding a venue that didn’t want to charge us and getting people to actually turn up. The Sheffield Tap agreed to let us have use of one of their rooms at no charge. To get people there, we invited everyone who we thought might be interested, advertising the event through other meetups, tweeted about it and asking anyone who showed an interest to help us get the message out there. When it came to the first meetup, we had 35 members and nine people attended the first event. Your meetup community has now reached over 1000 people. How have you grown the meetup to becoming more than just a night? Luckily they don’t all attend! Our aim is to make it more than a monthly, or bi-monthly event. Agile is about culture change, so we try to give people something which they can reflect upon and use every day in their working – and maybe even home – lives. It’s about providing value for people who want to learn more or share their experiences. When the community hit 700 members and attendance was between 35–50 members, we held a quick retrospective to find out what people valued about agile Sheffield. The conversations, activities and the culture of the group – the warmth, humour and openness, were themes that stood out. When asked for ideas about future sessions, there were requests for more group work and discussions with greater opportunity to share difficulties and experiences. There wasn’t much demand for lots of expert speakers or formal presentations. We want people to come along to the events. We’ve experienced events that advertise themselves as ‘welcoming and open’, but when you arrive it doesn’t feel like that. We always post on the meetup page before an event to ask if anyone new attending would like to be introduced. If so, they can get in touch with us directly in advance and we’ll be sure to say hello. We’ve received feedback that this makes people feel more comfortable in attending. We’re confident that our numbers have grown because of people recommending the group; a big chunk of the UK agile community now know that agile Sheffield is a thing! How else are you developing the agile Sheffield community? We’d like to do more and our events aren’t as regular as they could be due to other commitments, but the aim is to host meetups at least every two months this year. It would be great to get involved with other events to showcase agile and explore ways that agile values and principles can help. It would be great to have the agile Sheffield community helping out at hackathons, for example. How is the city’s meetup scene looking at the moment? It’s looking very vibrant, you can’t move for meetups in Sheffield at the moment! That’s a good thing as it encourages each meetup to speak to its neighbours to arrange times that suit attendees, and the meetup community as a whole. There are a lot of interrelated meetups, with similar subjects striping across meetups. We are seeing speakers being discovered in one meetup, and then joining another to present again. One of the benefits of covering agile is that it is so pervasive in other disciplines. There have been some clashes in scheduling so it’s really important that as a community, we work together to plan meetups. We don’t want to see groups becoming cliques or clubs which only look inward, so the community aspect is also key. Do you go to other meetups and how do they influence your own? There are quite a few that our team members attend. 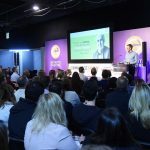 Front End Sheffield always has a good quality range of topics, speakers and offers a warm welcome to attendees. They hold events very regularly and the organisers are really committed. Sheffield Women In Tech, which team member Katie is also a host of, has given us useful experience and the feedback received increasingly shapes what we think about other tech groups and events, including agile Sheffield. Sheff Tech Leadership is good, they aim to ‘build an inclusive, welcoming, collaborative community where people from all backgrounds can come together to focus on leadership skills. That’s exactly what happened when we have been to their events. How have you approached a code of conduct? We have adopted the code of conduct provided by Sheffield Digital and we reiterated its key principles again at the last meetup – particularly as it was a lightning talk session with lots of people speaking and asking questions. We need to ensure the code is not just words but also reinforces how we set up, host and attend events. We post the code of conduct on each invitation and attendees are informed that they are expected to abide by it if they attend our events. It is reassuring that if we ever needed support to reinforce the code of conduct, Sheffield Digital and some of the other meetup groups, would provide help so a response would be provided openly and quickly. Finding a permanent home in the right location has been tricky. Numbers at events often vary and many venues charge, so we’ve had to look for event sponsors and different locations. The timing as well can be tricky, we start just as many people are heading home and know some people who would like to attend but cannot. Running a meetup also takes a lot of personal commitment, as well as often financial investment for things such as venue charges. Encouraging people to speak at an event or run an activity or workshop can be a challenge too. We’re trying to encourage members to take a more active role, but it’s difficult because it often means them having to use their own time to pull something together. That’s one of the reasons for this month’s lightning talks – to encourage and support new speakers, gather feedback on potential future topics and to learn lots on the evening itself! What can people do to help or get involved? Contact us if you have ideas for topics, speakers, future venues or would like to host a joint event. You can find out more about us on the agile Sheffield Meetup website or find us on Twitter where we are @agileSheffield. There’s a new blockchain meetup in town! Cyber Republic is a new meetup centred around the distributed operating system, Elastos.